By analysing the state, problems, obstacles and needs in agribusiness sector in the area of UPIP Žepče operations it was concluded the following: Parcels are small surfaces, unpreparedness of agricultural producers for growing new agricultural species as potential new sources of income, insufficient knowledge, difficult access to information’s and market, very bad financial situation of households, inability of access to loans and incentive funds, lack of equipment and machinery, associations - cooperatives and SMEs from agribusiness sector aren’t enough technically - personnel and financially capable, growers of medicinal and aromatic plants from territories of Žepče, Maglaj and Zavidovići municipalities hade the problem with placement of raw material from already planted plantations. After the end of analyzing it’s concluded that exist real need for establishment of Agroincubator as infrastructural support to development of actors from agribusiness sector. Agroinkubator is established and become functional in year 2008/2009. It gathers associations, cooperatives and SMEs from agribusiness sector with the aim to improve quality and quantity of produced products made by members, facilitate approach to the market, continuous development and expansion of production, development and increase business contacts and connecting/networking of individual producers and SMEs from agribusiness sector. Scope of Agroincubator work refers also on integrating of agribusiness in to the mainstream of entrepreneurship and registering of agricultural activities and continuous conduction of educations for agricultural producers and cooperants, organizing of planting materials procurement for needs of the members, organizing the production and processing of vegetable and fruit crops and medicinal and aromatic plants. On total surface of 630 m² Agroincubator provide following services: Room for educations capacity approx. 100 persons; Accredited pedological laboratory for soil quality testing; Storage areas; Office of experts for professional and advisory services; Office premises for its members; Promotional activities; Room equipped for e-business; Premises for processing of medicinal and aromatic herbs - distillers; Multifunctional Drier; Equipment for production of fruit chips; Planter for herbaceous plants; Reefer (cold storage) capacity approx. 300 m3 +4°C. Agroincubator is established with the aim to contribute to the development of SMEs through strengthening of infrastructural support in agribusiness and gathers associations, cooperatives and SMEs from agribusiness sector. 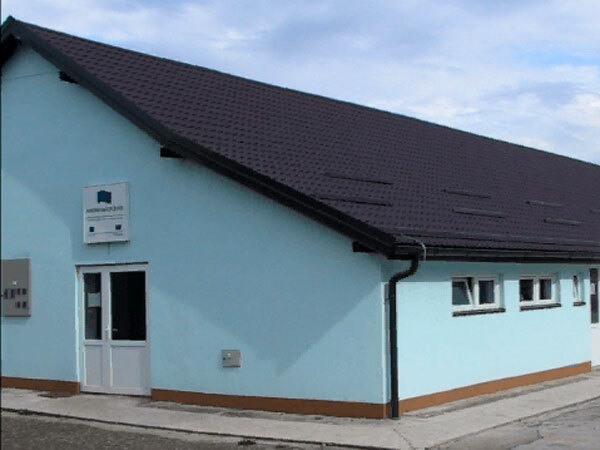 Services of Agroincubator are used by large number of agricultural producers from territories of Žepče, Zavidovići, Maglaj municipalities and from the Central Bosnia Region. 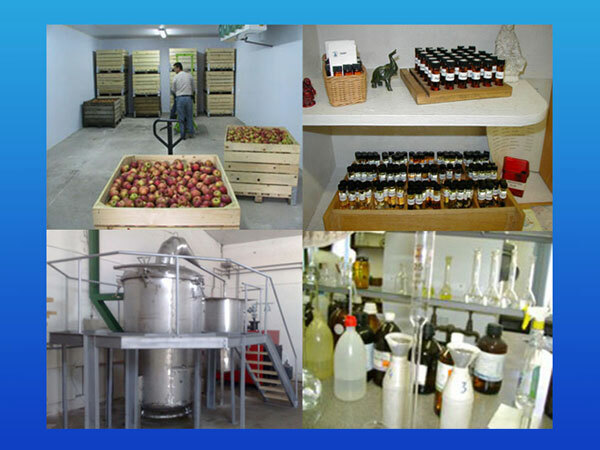 Services of pedological laboratory are used by 400 beneficiaries so far, all those who have need for storage of vegetables and fruits “from fields to final buyer” (reefer - cold storage and storage premises), while the premises intended for meetings - workshops - seminars are constantly used by associations, cooperatives and SMEs that are members of Agroincubator. 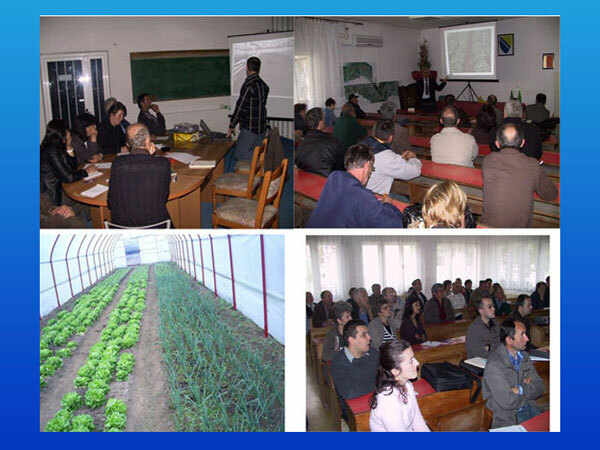 Number of Agroincubators members is considerably increased during the implementation of the project “AgroMAP NETWORK - Raising the competitiveness of subsector of medicinal and aromatic plants”. 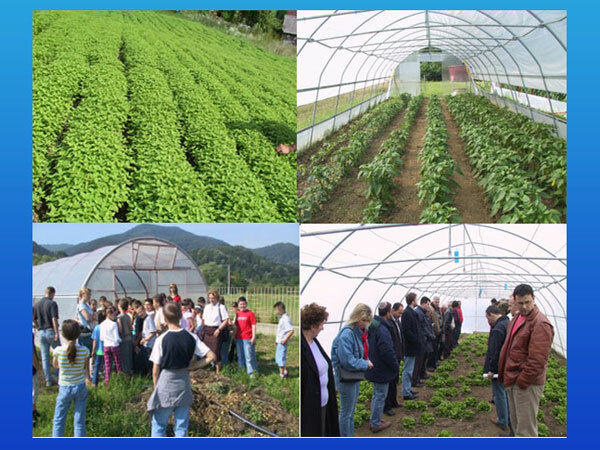 Associations, cooperatives and SMEs (23) from the whole territory of Bosnia and Herzegovina join to AgroMAP NETWORK that gathers collectors, producers and processors of medicinal and aromatic plants. Members of AgroMAP NETWORK that are growing lemon balm (Melissa Officinalis) are using equipment for processing raw material and production of essential oil under supervision of experts - Agronomists from Agroincubator. Economic conditions are created for a concrete development of business in the part of region (support provided to agro producers for rural areas in preserving the products by using refrigerated warehouse, for improving the quality and quantity of products by using soil laboratory services and its expert-advisory services, possibilities are made for starting new business (processing), joint marketing and promotion of products and market and production network. Human labour is mobilized and training was provided for improvement of skills of target groups and project beneficiaries (information given on possibilities in development of business, permanent trainings held according to kinds and phases of production- protection in production process, starting of business, development and stability of business, access to the financial resources). Possibility of regional export was strengthen: support provided for development of technology standards, production of row materials supported for those who produce for factories that export products in foreign market, new business supported–those based on innovative products (medical herbs products), establishing the business contacts among producers and buyers as a support in selling a larger number of local products and services; Partnership between NGOs was strengthen, those urging the development of business in this part of the region (associations in different field of business). Together with entrepreneurs and private and public sector, they are able to mobilize all available resources and strengths for economic development of municipalities through establishing the clusters for sustainable rural development. Other municipalities are interested in this kind of infrastructural support. The survival of and expansion of existing businesses, started and developed new businesses in rural areas and new employment (greenhouse production, growing medicinal and aromatic plants, processing), new product made - organic essential oil of lemon balm (Melissa Officinalis), increased quality and quantity of products through use of pedological laboratory and expert - advisory services of Agronomist, registered agricultural producers, introduction of standards and certification, networking of associations, cooperatives and SMEs, establishment of AgroMAP NETWORK and web portal of the network. Within the Agroincubator and in cooperation with OPZ “Agrofarm” Žepče, UPIP Žepče produce essential oil of Melissa Officinalis that is placed on the USA market. Number and area covered with plantations of Melissa Officinalis are constantly increasing (area of Žepče, Zavidovići and Maglaj municipalities but also in whole Central Bosnia Region). Until the year 2012 approx. 230 tons of Melissa Officinalis herb is processed than produced and placed on the market approx. 40 kilograms of essential oil (Melissa Officinalis). In year 2012 approx. 100 tons of coniferous tree is processed than produced and placed on the market approx. 140 kilograms of essential oil (Pinus Silvestris, Spruce, Fir, Thuja), conducted more than 300 educational workshops with participation of more than 3500 beneficiaries - topics from agribusiness sector, pedological laboratory conducted approx. 400 analyses with recommendations, in multifunctional Drier and equipment for production of fruit chips test productions were made, in Reefer (cold storage) is stored approx. 120 tons of fruits. Members and their products were promoted and presented on the domestic and foreign trade fairs (Bosnia and Herzegovina and in Croatia). This example of “good practice” has shown interest of other municipalities for starting this kind of activities by associations, cooperatives and SMEs in entire Bosnia and Herzegovina (Bileća, Banja Luka, Srebrenica, East and West Herzegovina, Višegrad, Bihać.